What a fertile region this is! 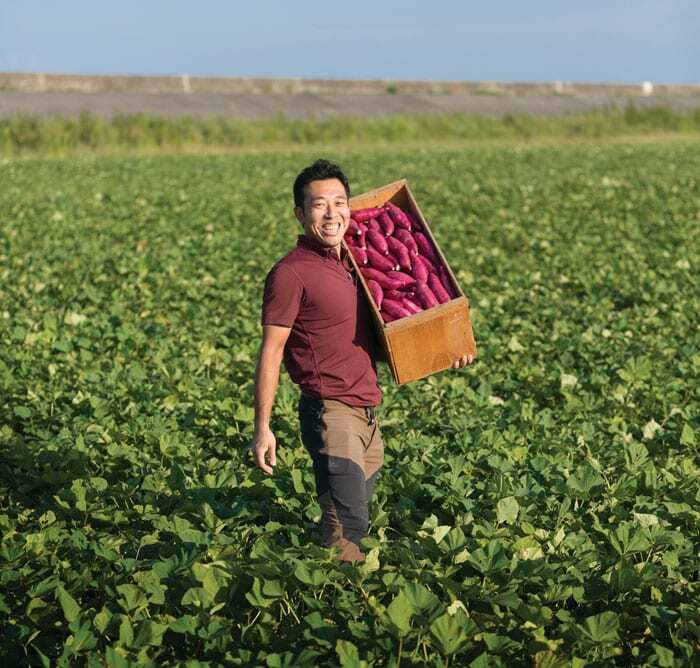 Tokushima’s climate, rich soil and plentiful irrigation lead to a bumper harvest of all kinds of colourful crops. Ajourney through eastern Shikoku is as colourful as anywhere in Japan. 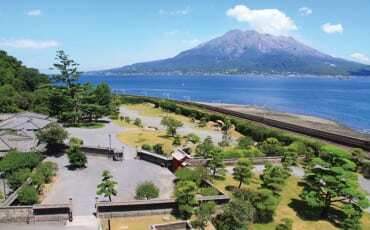 The people of Tokushima respect their land and water, and take full advantage of its produce. All through the year, plants are coming into full bloom: in winter, sugar cane is harvested; in spring, strawberries reach maturity; in summer, sudachi; and in autumn, rice comes to fruition. With its port yielding diverse seafood daily, and Awa pork and chicken cropping up in everyday dishes like ramen and yakitori, there’s really nothing the prefecture is lacking. Perhaps the best-known produce here is the citrus fruit. Tokushima’s signature foodstuffs, the much-loved yuzu and sudachi, are everywhere—and not just in food. You’ll find these green and yellow gems spicing up soft drinks and liqueurs, enhancing all manner of foods, and in the case of yuzu, bringing delightful aromas and soothing properties to toiletries, room mists, bath powders and body oils. Sudachi delivers a refreshing fragrance and is known as the “scented jewel”, enlivening Japanese dishes from tempura to sashimi and miso soup. And that’s not to mention the beauty these brightly coloured fruits lend to the landscape! Naruto kintoki, the highest-quality sweet potato in the land, grows here in ideal conditions and is found in foodstuffs everywhere, including confectionery. 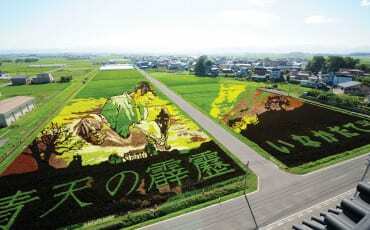 In fact, 90% of Tokushima’s potatoes are Naruto kintoki. Cultivated in sand by the Naruto Strait, and immediately identifiable with its bright purple skin, it is enriched with minerals that give it a light texture and fragrant aroma. 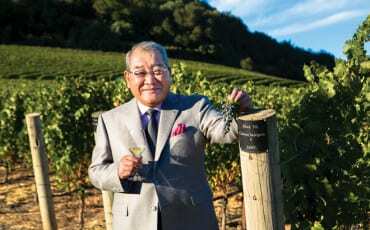 Toshishige Fujiwara—a director at Tokushima Farmer Sommeliers’ Inc.—runs his family farm on reclaimed land at Kawauchi, Tokushima City. His sweet potatoes are harvested from July to December, refrigerated for six months at 13°C and their roots removed; then, after being bathed in water and sprayed by jets, they are ready for crating. Half the sweet potatoes go to the farmers’ association here, while most of the other half goes to shops or outlets in Kansai area; some are also exported overseas to countries like Malaysia and Singapore, where the sweet version is preferred. An early-morning visit to Tsubaki Domari in Anan City, one of the prefecture’s busiest ports, is a feast for all the senses. Chairman of Tsubakidomari fisheries co-operative Junji Kume tells us 150 tons of hamo (daggertooth conger eel) and 10 tons of ise-ebi (lobster) pass through here every year. You can watch the lobster being sorted into groups according to length — those less than 13cm are discarded and released, while they also check the crustaceans for blemishes. Most lobster are shipped to cities outside Tokushima, particularly Osaka; the hamo enjoys a large fanbase in Kyoto. Other fruits of the sea filling up the crates here include squid, sawara (Spanish mackerel), thread-sail filefish, red grouper, snapper, croaker, tuna, golden kettlefish and the collagen-rich avalon fish. 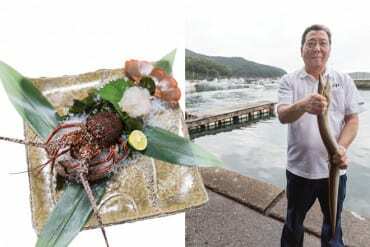 But it’s the ise-ebi that gives this place its renown—the fleshy lobster feed on prey in the Pacific and the Seto Inland Sea, making them juicy and rich in proteins and minerals. Hamo enjoys a reputation as a high-end fish, with meticulous methods used to ready it for eating. Takahide Bando’s self-named farm, high in the hills of beautiful Kamikatsu, has been in the family for three centuries and grows yuzu, sudachi and yukoh using a different approach: this enterprise has been 99% organic since 2002, when the government designated this an organic farming area. After extracting the sudachi juice, the leftover skin and fibres are repurposed for composting and re-farming the land. Awa Bancha green tea contains yuzu, and is much sought after by the health- and fad-conscious. Yukoh, a hybrid fruit with potent fragrance and bitter-sweet taste similar to an orange, also grows in large numbers here; Kamikatsu produces about 65% of Japan’s yukoh, and it’s used in sushi and sashimi. Bando Farm’s chief products include yukoh and sudachi jellies; citrus juice; ponzu made from all three fruits; and Su-Su-Su, an organic drink. 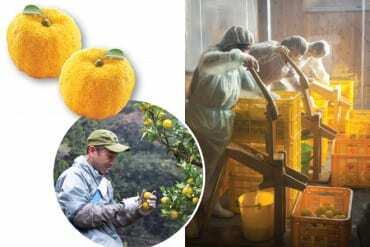 Kito Yuzu is Tokushima’s best-known producers of yuzu, with its fame extending beyond Japan. Its exports to Europe have grown, and visitors from France come to witness yuzu in its home territory. 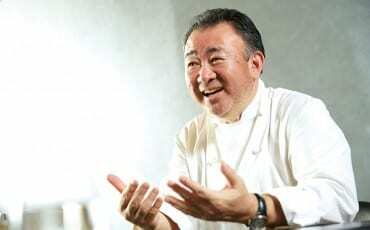 The company has even been heralded as a representative producer of the prefecture, after a “Yuzu Summit” in 1987 significantly raised its profile. And it’s not hard to see why—Yuzu here is organically grown, more fragrant, and individually hand squeezed. With the company’s attractive products, Kito Yuzu aims to inspire young people to farm the tangy fruit. Nothing goes to waste, as whatever is not sold can still be used. It’s also very healthy: it contains more Vitamin C than lemons! 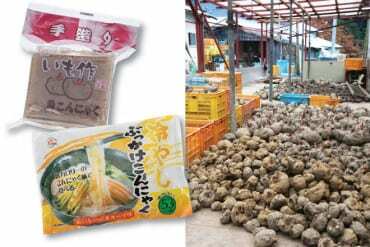 Particularly associated with southern Japan, konnyaku is a processed block of jelly-like nutrition pounded from the roots of a yam-like plant called konjac. It has a chewy texture, and contains no sugar. 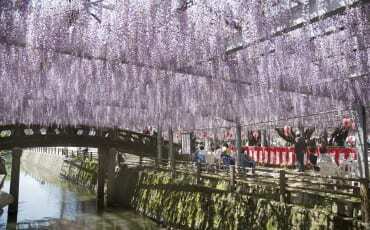 Konnyaku has become known to foodies as a diet food with unusual properties—it cleanses the intestine and has been called the “broom of the stomach”. 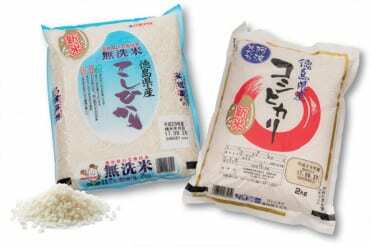 Kataoka’s organic, halal konnyaku is a healthy, tasty product that comes in many forms (including low-calorie noodles and sauces), and is made with spring water from the Tsurugi mountains. Konnyaku can be prepared in many forms: sashimi-konnyaku (served fresh in strips); in a ramen; with pasta or noodles; with seaweed in a sashimi; simmered in a miso with daiso broth; or served in a sweet jelly. 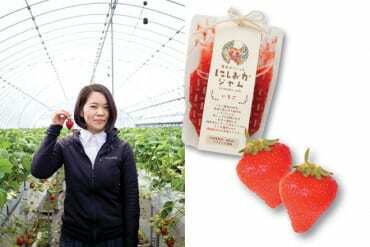 Strawberries (known in Japan as ichigo) are another premium fruit grown in Tokushima, with mild winter evenings and warm summers providing the ideal climate for their growth; “Katsura” is the top variety. Sachiko Nishioka, Director of Nishioka Sangyo, heads up the farm that has been in the family since the 1970s. 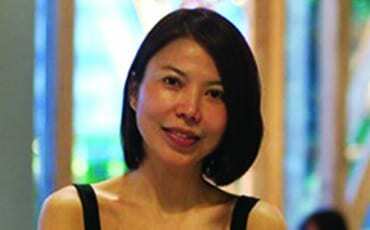 Her safe and natural strawberry products have gained such renown that she has orders from shops in Tokyo, supplies restaurants in Kyoto, and ships to Singapore and Taiwan. Her beautifully packaged products—which include two types of gelato—carry a logo depicting the tanuki raccoon of local legend. 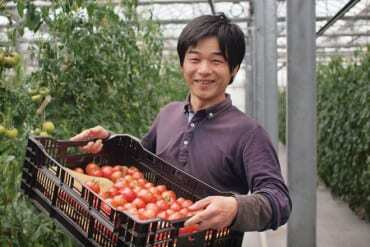 Naoki Kashiyama’s 64-hectare farm produces what have been hailed as the best tomatoes in the country. This sweet-tasting Sangoju (“red tree eggplant”) is sold in Tokyo’s Tsukiji Market and prized in Singapore, where a kilo costs around S$100. 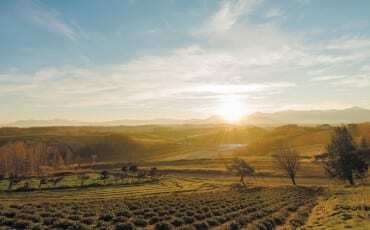 Kashiyama Nouen is a “biological organic farm” that aims to avoid pesticides, uses no waste water, adds minerals for growth and maximises sunlight. The tomatoes are grown on a “stepping system” (vertical wooden racks) in a highly controlled environment. 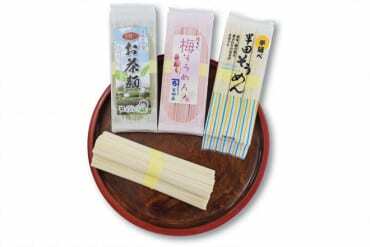 Handa somen is a tasty wheat flour noodle with an elastic texture and smooth taste. At up to 1.7mm it’s much thicker than average noodle. After the wheat flour is kneaded with brine, the noodles are machine-stretched and separated with chopsticks, then dried. Handa somen has been around for 250 years but remains very popular in this part of Japan; Handmade Somen & Udon Factory prioritises this variety. It goes particularly well with sudachi. 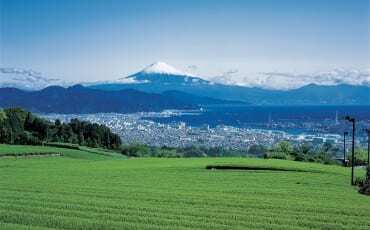 Tokushima’s geography and climate make fertile ground for foodstuffs. The rice crop is harvested every August—earlier than most regions—and yields 10 varieties, the finest being Koshihikari, Kinuhikari and Awaminori (there’s also rice used for sake). Since exports began in 2009 it has become popular in Taiwan, Singapore, Vietnam, Hong Kong, the UK and even the US. Production is overseen by Zen-Noh, a federation of Japanese agricultural co-operatives, which aims to optimise production, control prices and enhance public awareness.